In January 2017 Kopin unveiled its first OLED microdisplay, the 1-inch 120 Hz 2k x 2k Lightning panel, and in March 2017 Kopin announced that it is developing a VR headset in collaboration with Goertek - a mobile VR headset that uses the Lightning OLED microdisplay. The two companies now unveiled their VR headset reference design, called the Elf VR. The Elf VR utilizes Kopin's Lightning OLED microdisplay to create a headset that is lighter, more efficient and with a higher image quality compared to the current VR headsets based on smartphone-sized OLEDs. 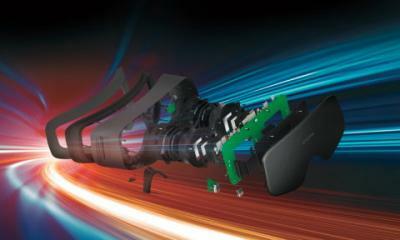 The Elf VR adopts an advanced optical solution with a compact Multi-Lens design. The reference design supports two novel optics solutions – 70 degrees FOV for film-like beauty or 100 degrees FOV for deep immersion. In April 2017, Kopin announced that it reached agreements with both OLiGHTEK and BOE Technology to meet its production needs. Kopin has secured capacity from OLiGHTEK's OLED microdisplay fab for the near term and will also utilize BOE and OLiGHTEK future OLED microdisplay fab. 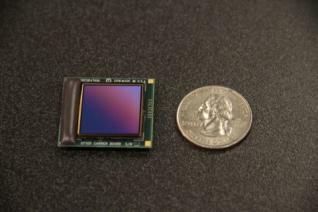 The OLED Microdisplay is now in focus as these small high-quality displays could pave the way towards better VR and AR devices. US-based eMagin is also gearing up to increase production capacity as it hopes to provide OLED microdisplays to consumer AR and VR HMDs, and the company has its own microdisplay-based VR hadset design. To learn more about this exciting emerging market, consult our OLED Microdisplay Market Report. When will this product release?